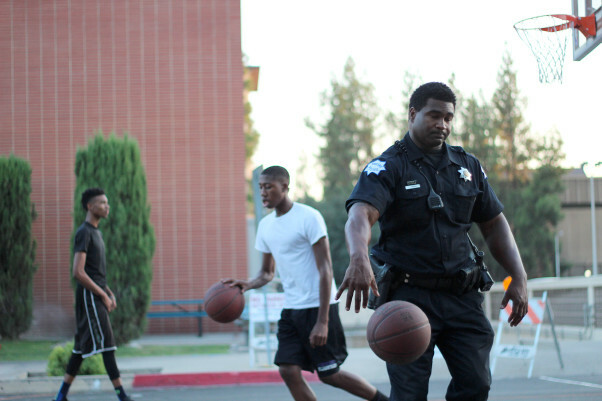 The Saturday Basketball program was conceived as a way to get youth and police officers together in an environment that is not defined by law enforcement. Fresno police think the tournament can diffuse tension and address local violence. “I know that it is very, very easy to be turned the wrong way but there are people out there that are willing to help you… One of our strategies is being able to reach our youth and give them something to do on a Saturday night when there is high likelihood for crime. We do want them to channel their energy in a positive way.” More on The Know. This entry was posted on September 9, 2015 by Editor in Print, The kNOw and tagged Law enforcement, Neighborhood.